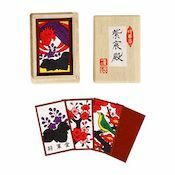 Hanafuda is a traditional Japanese card game. 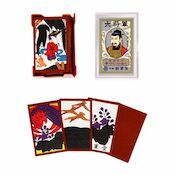 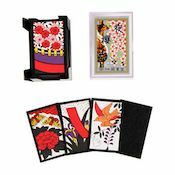 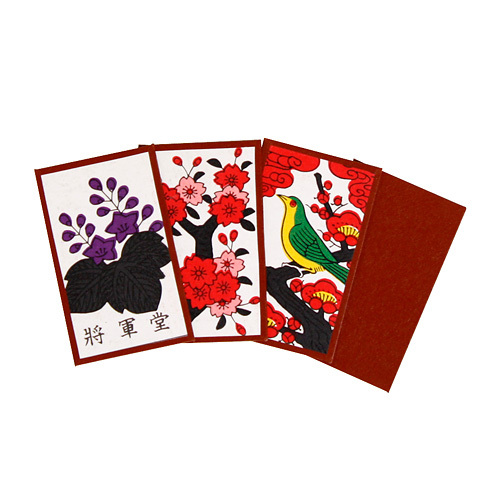 A hanafuda deck consists of 48 cards divided into sets referred to by the months of the year, with each set containing 4 cards with pictures of the same flower. 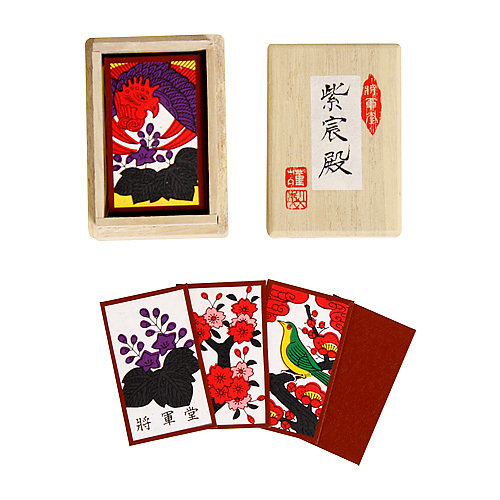 Every aspect of this item is of the highest quality, down to the beautiful paulownia wood box. 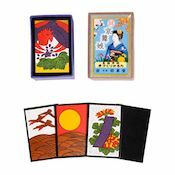 The cards are created using glue that contains earth, so they have a weight that makes them easy to play with, and their backs are hand-made Mino paper. 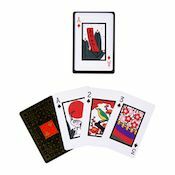 The result is a deck of cards that feels beautiful and is of course durable. 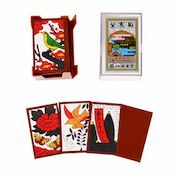 •In high-quality paulownia wood box; contains 48 cards; instruction booklet incl.